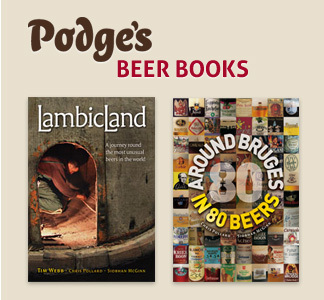 ‘Podge’s Belgian Beer Tours’ is the name under which Siobhan McGinn ('Mrs Podge') runs tours to Belgium and other countries in Europe. ‘Tour’ means any tour organised by Podge’s Belgian Beer Tours. ‘Traveller(s)’ means any person(s) who have booked on a Tour. For Tours to Belgium a coach is hired in the UK for transport of Travellers to and from Belgium and for use whilst on Tour. Occasionally a coach is hired in locally in Belgium if it is necessary to accommodate driver hours. The coach is usually a 48-seater with toilet, but occasionally a smaller or larger coach is used depending on Tour numbers. Travellers are free to sit where they wish on the coach as seat numbers are not allocated. For Tours outside Belgium, for example to Czech Republic and Germany, Travellers book and pay direct for their own flights and Podge’s Belgian Beer Tours hires a local mini bus or coach for local travel and this is included in the Tour price. Podge’s Belgian Beer Tours use hotel accommodation on each Tour with breakfast included, which is usually a continental buffet style. All rooms booked for Travellers have private en suite facilities except where stated. Each Tour itinerary published on our website will state the hotel and location used for that Tour, and if the hotel has a website a link to that website will be provided for Travellers to check the services and features offered by the hotel and its approval or tourist classiﬁcation under local rules. The Tour price includes breakfast in the Tour hotel following each night’s stay. Other meals may be included in the Tour price, and if this is the case it will be clearly indicated and marked with an asterisk on the detailed itinerary for the Tour as posted on our website and sent to Travellers prior to travel. Brewery visits, including tastings and entrance charges to museums and specified attractions mentioned in the Tour itinerary will be included in the Tour price, and if this is the case it will be clearly indicated and marked with an asterisk on the detailed itinerary for the Tour as posted on Podge's Belgian Beer Tours website and sent to to Travellers prior to travel. 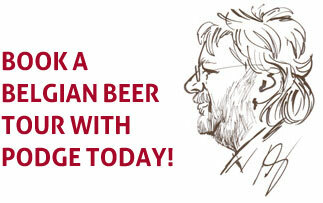 Podge’s Belgian Beer Tours website is regularly updated with new Tour dates and information as to details of each Tour. At an early stage we announce dates of the Tour with outline information of location of overnight stays and an outline of places, beer festivals or breweries intended to be visited. As details of the Tour are worked on further information is added and when all visits are arranged and in place the price for the Tour is ﬁxed. All Tours are carefully constructed personally by Mrs Podge and the descriptions on this or any other website are as accurate as possible at the time of posting but from time to time it may be necessary to alter details of a Tour such as restaurants, cafes or breweries to be visited. In this case suitable alternatives will be found and Podge’s Belgian Beer Tours reserves the right to make changes to the itinerary as advertised. Most changes made will be of a minor nature. If it is necessary to make a signiﬁcant change Travellers will be informed as soon as possible once the change has been made. Travellers will be sent a detailed timed itinerary in good time prior to the Tour departure date which will include full joining instructions, the times and places of all scheduled transport connections, stops, visits, Tours and hotel details. Items marked with an asterisk are included in the Tour price. Podge’s Belgian Beer Tours reserves the right to change a Tour price after travellers have booked on a Tour (by paying a deposit) as a result of variations in certain costs as specified by S.11 of the Package Travel, Package Holidays and Package Tours Regulations 1992. These costs are transportation charges, being fuel, dues, taxes or fees chargeable for services such as landing taxes, embarkation/disembarkation fees at ports/airports and also variations in currency exchange rates. Podge's Belgian Beer Tours will not change the Tour price within 30 days of the Tour departure date. Podge's Belgian Beer Tours will not change the Tour price if cost variations would produce an increase/decrease of less than 2% of the Tour price. If Podge's Belgian Beer Tours increases a Tour price by more than 10% of the booked Tour Price then Travellers have the option of either paying the increased Tour price or cancelling their booking and receiving a refund of an amount equal to the sum of the deposit paid. If a Traveller opts to cancel for this reason they must exercise this right within 14 days of the date of the email sent to them by Mrs Podge stating the increased Tour price. Should the price of a Tour go down due to variations in the costs mentioned by s.11 above by more than 2% of the Tour price then any refund due will be paid to the Traveller. exchange rate fluctuations may have no impact on some elements of the Tour price. Podge’s Belgian Beer Tours requires a deposit of at least £100 per person to secure a place on a Tour and the balance of the price of the Tour is due ﬁve weeks before departure. Payment can be made by cheque or preferably by bank transfer. To book on a Tour please ﬁrst read all of the Booking Conditions on this page as these contain important information. Then telephone Mrs Podge on 01245 354677 or email Mrs Podge to register your interest and to make arrangements to pay the deposit for the Tour. Mrs Podge will provide details of how to pay the deposit by cheque or preferably by bank transfer. A booking is accepted and the contract between the Traveller and Podge’s Belgian Beer Tours is made when Podge’s Belgian Beer Tours sends a conﬁrmation email to the Traveller conﬁrming that their cheque or bank transfer has been received. All bookings are made and accepted under the Booking Conditions set out on this page. At the time of booking Travellers should inform Mrs Podge of any special needs, whether dietary, mobility or otherwise and Mrs Podge will advise whether the Travellers special needs can be accommodated. Travellers who are U.K. nationals will need a valid passport for the duration of the Tour. Should Travellers need to renew their passport prior to departure they should ensure that the appropriate application is made in good time to have the new passport returned and if Travellers are applying for their ﬁrst passport they should allow plenty of time for the application prior to the Tour. Travellers from other European Union countries (except nationals of Denmark and Sweden) must carry a valid national ID card. US and Canadian citizens need a valid passport to enter Belgium. A visa is not required for stays of less than 90 days. Other nationalities should check with the Belgian Embassy or nearest Consulate Ofﬁce for visa requirements. For up to date requirements check here. Podge’s Belgian Beer Tours regularly includes visits to working breweries which contain commercial equipment and installations. Travellers should be aware that they may be walking amongst machinery, vehicles, bottling plants and up and down steps and that appropriate caution should be taken during these visits regarding not entering any areas not authorised by the brewery being visited nor touching any machinery or installations in any brewery. Travellers who are either UK Nationals or from other European Union countries must obtain a European Health Insurance Card (EHIC) before joining a Tour. The EHIC is not a substitute for medical and travel insurance but should entitle Travellers to emergency medical treatment on the same terms as Belgian nationals. An EHIC will not cover Travellers for medical repatriation, on-going medical treatment or treatment of a non-urgent nature. Therefore, Podge’s Belgian Beer Tours requires all Travellers to have comprehensive travel insurance before joining a Tour to cover medical treatment, personal accident, loss of personal effects, personal liability and Traveller cancellation. Travellers should check any exclusion, and ensure their policy covers them for all the activities they want to undertake. It is the Travellers responsibility to ensure that they have valid travel and medical insurance. If any Traveller books and pays for their own flights to join any Tour, they should check their insurance policy for any exclusion of scheduled airline failure, and may wish to make arrangements for alternative travel in the event that the airline they have booked flights with becomes insolvent before they travel, or whilst they are abroad. Travellers who wish to cancel a booking on any Tour must give written notice to Mrs Podge prior to the Tour departure date. Cancellations should be made by email if possible. If the cancellation is received more than 35 days prior to the Tour departure date all monies paid by the Traveller will be refunded. If the cancellation is received on or less than 35 days before the Tour departure date the charge will be 100% of the price of the Tour. Podge’s Belgian Beer Tours have run Tours for groups of 15 to 49 people. If less than 14 people book on a Tour it may not be viable for the Tour to proceed and Podge’s Belgian Beer Tours reserves the right to cancel a Tour due to lack of sufﬁcient numbers to make the Tour viable, but Podge’s Belgian Beer Tours would endeavour to give a Traveller at least 28 days notice of any cancellation and any monies paid for the Tour will be repaid in full. In the event of cancellation by either party, Podge’s Belgian Beer Tours will not be liable for any other costs incurred beyond the price of the Tour. Podge’s Belgian Beer Tours requires Travellers to obtain appropriate travel and cancellation insurance. Podge’s Belgian Beer Tours travels to Belgium in a coach via ferry (Dover – Calais) or via Eurotunnel (Folkestone – Calais). On occasion there can be delays in the scheduled ferry or train departures due to industrial action, adverse weather conditions, security alerts or other unforeseen circumstances. Podge’s Belgian Beer Tours and the coach company engaged on the Tour will use their best endeavours to ensure that the coach proceeds as soon as possible on the next available ferry or train on either the outbound or inbound leg of the Tour. In compliance with The Package Travel, Package Holidays and Package Tours Regulations 1992 we are required to inform Travellers of the arrangements for their repatriation in the event of insolvency. Podge’s Belgian Beer Tours hires coaches for the transportation of Travellers from their agreed pick up and drop off points in U.K. Podge’s Belgian Beer Tours ensures that the coach hire fee is settled prior to each Tour, therefore in the event of the insolvency of Siobhan McGinn (Mrs Podge) trading as Podge’s Belgian Beer Tours the coach which attends Travellers throughout the Tour would return (repatriate) Travellers back to their agreed drop off points. These Booking Conditions, any contract formed under these Booking Conditions, any matters arising from such a contract or any contract between the Traveller and Podge’s Belgian Beer Tours and any and all claims shall be governed by and construed in accordance with English Law and Travellers agree to submit to the exclusive jurisdiction of the English Courts in relation to any dispute arising out of or relating to these Booking Conditions and/or any contract formed between the Traveller and Podge’s Belgian Beer Tours. Podge’s Belgian Beer Tours cannot accept liability or pay any compensation where the performance, or prompt performance of its contractual obligations to the Traveller is prevented or affected, or the Traveller otherwise suffers any damage, loss or expense of any nature as a result of ‘force majeure’. In these Terms and Conditions ‘force majeure’ means any event or circumstances which we or the supplier of the service(s) in question could not, even with all due care, foresee or avoid. Such events or circumstances may include (whether actual or threatened) war, riot, civil strife, terrorist activity, industrial dispute, natural or nuclear disaster, adverse weather conditions, ﬁre, pandemics/epidemics and all similar events outside our control. Podge’s Belgian Beer Tours ©. Tour terms & conditions. Email Podge. Website design & coding: Opta Design.